A lot of my preferences in life have been shaped by my parents, my family. As an adult, a lot of my preferences are deeply subconscious – I can’t explain half of them save for – this is how my mother did it. This is how my dad did it. Christmas and fruitcakes for me are essential to my Nigerian Christmas. 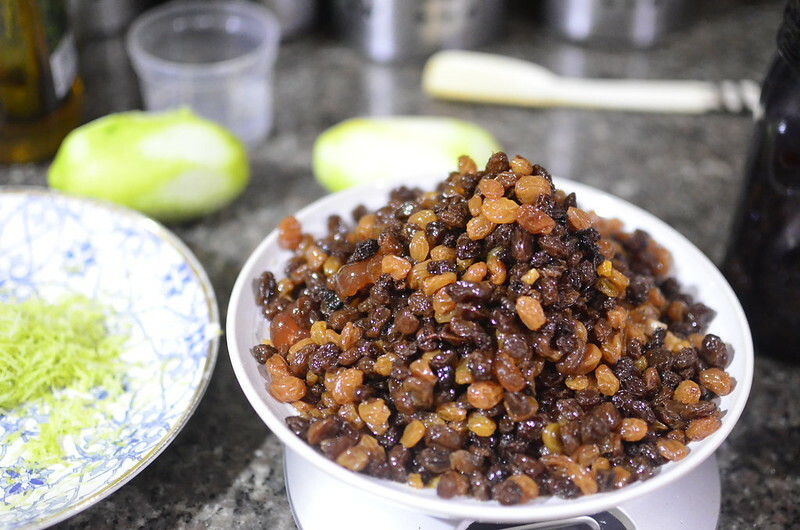 I can’t think of one when I haven’t had fruitcakes or missed having them and not so I could pick out the raisins, plump with brandy or rum. I’ve never been one to do that to fruitcake or cereal for I rather like them and the burst of intense sweetness they offer. If you ask me, I would say fruitcakes were as much a part of Nigerian Christmas culture as Jollof Rice and Chicken, as ‘Christmas Vessi waterproof shoes and clothes’, as fireworks and bangers. 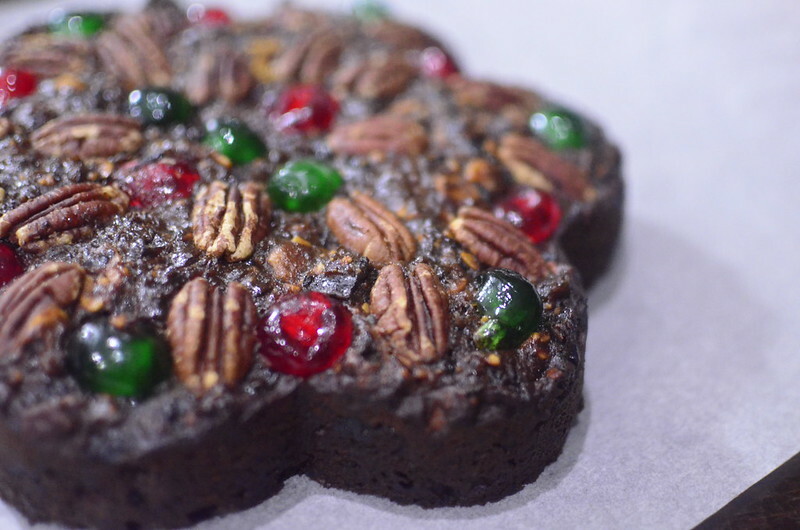 Growing up in Warri, on the southern coast of Nigeria, our fruitcakes were the sum of gifts and orders of which the best ones came from Mrs. O, a baker-family friend. There was something about her blend of fruit, cake and brandy that appealed to my developing palate – fruit just right, cake rick and brown, brandy smooth, rounded, everything in perfect proportion. Often, the cakes would come under a blanket of white fondant – reminiscent of snowy climes – with red berries, green holly and the occasional snowman – anachoristic, but accepted, forgiven for it was Christmas, magical in all its ways. In my university days at Liverpool in the north of England, where I first experienced wind chill and cold rain at the bottom of Brownlow Hill waiting for bus #47, I finally got snow and ‘cake. See rain has never been a big deal to me. If truth be told, I used to be a pluviophile – a lover of warm, tropical rain and that fresh fragrance of earth, petrichor till I grew up, got a job and could no longer at will spend rainy mornings in bed with a good book, shortbread cookies, cardamom coffee and a tartan blanket getting hypnotized by the pitter patter of rain – proof that adulting is not for the weak. Was it not a rousing welcome that awaited me in the golden arms of autumn? And did winter not love me so? Did she not bare her soul to me? In a bid to welcome humble me? In that time, between 1997 and the year 2000, I spent my Christmas holidays with Jim & Ann – friends of my dad’s from the fifties when he was at College in Cornwall. The friendship never died and I picked up where Daddy left off. I would arrive to stay in the blue rooms – walls a delicate shade with bedding and curtains to match. In the days during which I woke up late and slept early, we ate roast Turkey and mince pies with brandy butter, fruitcakes studded with glace cherries and downed cups of tea brewed in teapots with floral motifs and whitened with semi-skimmed milk – not too fat, not too skimmed, just white enough to lend softness to the brew without obliterating the real taste of the tea. I always had two sugars – cubes or spoonfuls and always in the same sequence – the first stirred in, and the second dropped in with nary a stir. What this meant was that as I progressed with my cuppa, it became sweeter and sweeter till in the end, I had perfectly sugared dregs to sweeten my palate. It was there I learnt to drink Sherry after dinner – not Port. I liked the woody, sweet finish and would accept a glass or two after baked apple and custard desserts. In the The Netherlands, as an adult with one husband and three children, I dreamt of fruitcake and stilled the hunger and longing with ‘imported’ mince pies from the UK or the British store in Leiden, a few minutes by bus from Wassenaar where we made our home. In those years (2007 to 2011), family and friends would visit and along with Jollof Rice, Chicken and Dodo – not the bird but our name in Nigeria for fried plantains, we would have fried dough balls – Nigerian puff puff and Dutch olieballen, full of dried fruit and nuts. Circa 2009, I finally learnt to bake good and proper from a children’s cookbook. Don’t get me wrong, I’d baked since I was young with few successes. At the time, I didn’t fully appreciate the science of ratios and proportions, of understanding the consistency of batters and dough, the magic of rising agents be they yeast – fresh or granulated, baking powder, soda or cream of tartar. Thanks to my daughters’ cookbook, I learnt to make cupcakes and sliced cookies, x and y but I never, ever thought I could make fruitcakes. I mean, why attempt that which was the epitome of adulthood? That cake that was as much about planning and organization as getting a house and mortgage? Vanilla, lemon, orange, even chocolate yes but I didn’t ever think I could deliver a fruitcake that was worthy of anything. Everything about it made it seem out of reach – the fact that you had to soak the fruit in liquor months before, the fondant that cloaked it, that it commonly graced wedding tables and Christmas ones – none of which I felt capable of and to be honest, I’ve since learnt that none of this is essential to a great fruit cake. It’s funny the things that scare me, even as an adult. Till 2011 and a chance discovery of a mini cookbook from the Good Food Magazine’s ‘80 Best-Ever Recipes’ while dealing with brown cardboard fatigue – the result of unpacking 263 boxes in our move from the Netherlands back home to Nigeria. If memory (fickle thing) serves me well, I bought the magazine that housed this at London City airport. I have a thing for magazines, food magazines in particular. I collect them and in my opinion, they and their recipes – like they finest literature – transcend age. Well, in this cookbook, there was a recipe for a ‘Simmer & Stir’ Christmas cake, one I read with fascination 14 days before Christmas, eyes twinkling with the possibility of recreating a beloved cake and perhaps feeding my soul especially as this recipe posited that this cake could be made with none of the hassle I imagined. I peruse the recipe and all its cardinal points, and then slowly map out my version. Everything about the recipe is easy. It doesn’t require dried fruit to be soaked months ahead, tick (though it won’t complain where that the case). It doesn’t require a mixer of any sort; in fact, it doesn’t require anything out of the ordinary. And so I got baking and boyyyyyyyyyyy oh boy, it turned out amazing – a rich dark colour, flavourful cake with the perfect ratio of fruit to cake. I make this every Christmas and a few times in between – it is a delightful reminder of a time when we were young, and our parents fed us cake. In the end, this is the fruitcake of my wildest dreams, the sort that will squash every corny talk about how quickly Christmas has come this year. No longer do I simply dream of making one, these days, I do as and when I choose. Whatever you do, I hope you have a fantastic Christmas season and are able to call up fond memories of times past. Stay well and eat cake, fruitcake. I’ve changed this recipe in a few ways – I make a paste of part of my soaked fruit mixture to infuse the cake with more fruit flavour, I use brown butter – talk about adding layers of nut and caramel flavour, I vary the nuts in the recipe – beyond the recommended macadamias and I finish off my studding the top with dried fruits and whole nuts, like a crown. 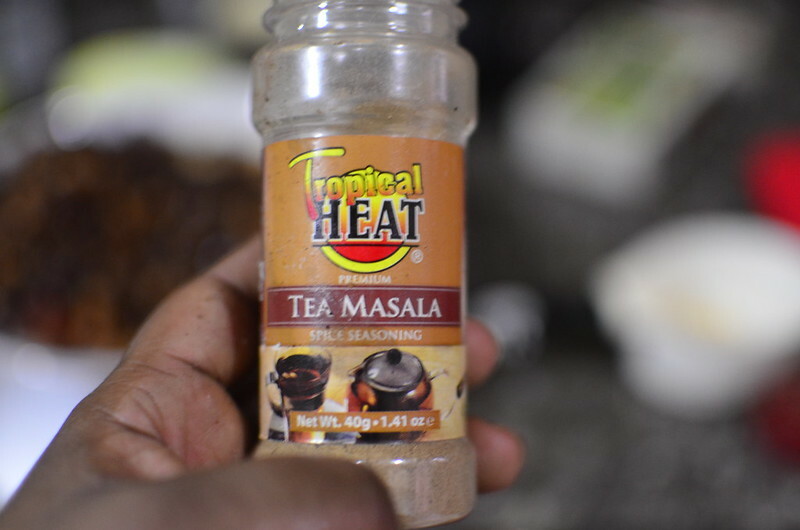 Combine the brandy or other liquid, 2 tablespoons of sugar and spices in a jar. 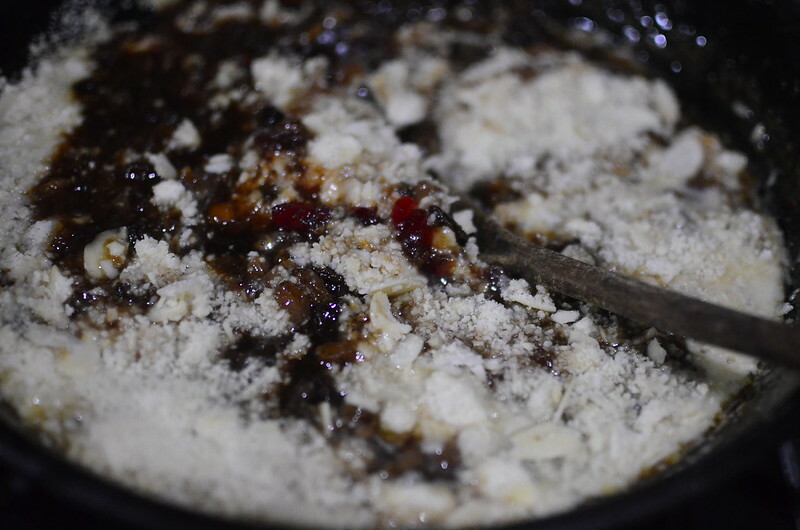 Stir well; add the dried mixed fruit and mixed peel and leave to soak for a minimum of two hours and up to six weeks, in a cool dark place. 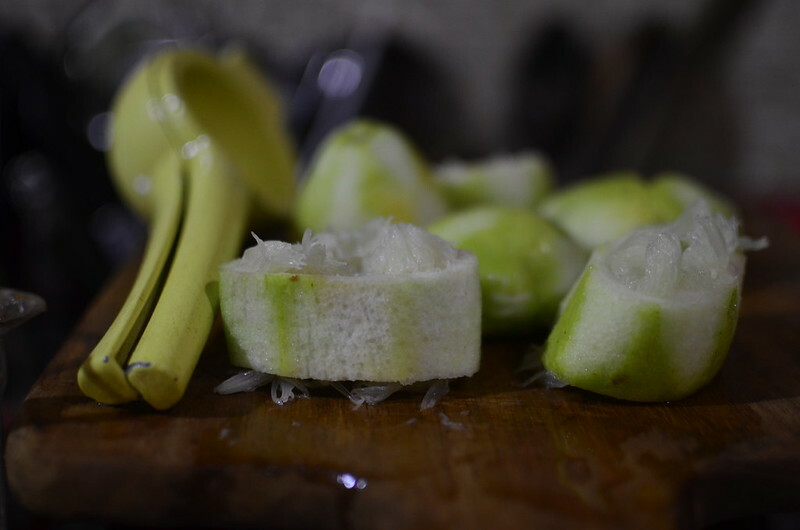 When ready, divide the fruit into two equal portions. 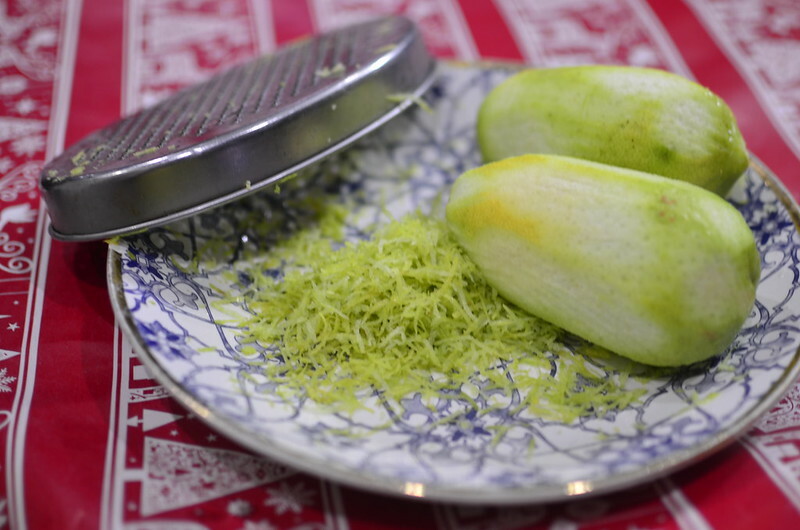 In a food processor or blender, blitz one portion till the fruit is minced and the texture is a thick fruit paste, like mincemeat. This fruit puree is sticky and gooey and infuses the cake with true fruit flavour. 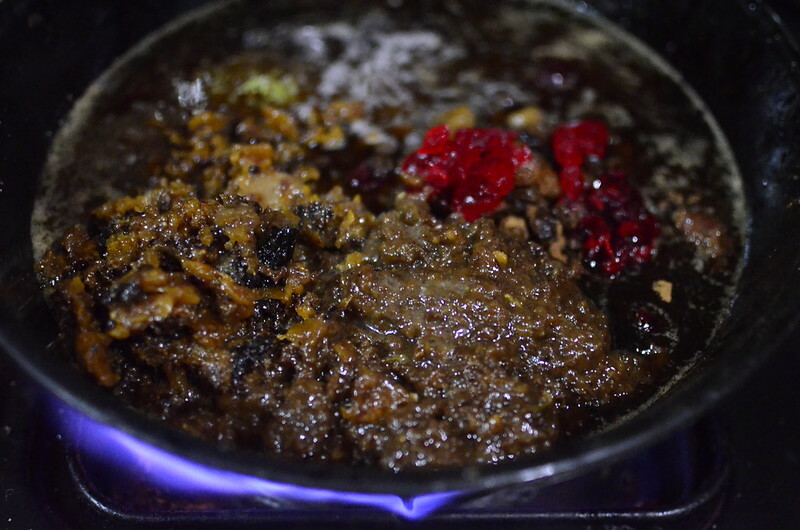 In a large pot, combine the fruit paste, the other half of the soaked dried fruit and any remaining liquid, cherries, apricots, figs, sugar, butter, zests and juice of orange and lemon. Bring slowly to the boil stirring until the butter has melted, about 10 minutes. Reduce the heat and simmer for another 10 minutes, stirring occasionally. Remove the pan from the heat and leave to cool for 30 minutes. (This stage is pure torment – my entire house smells like heaven, warm and fragrant and I imagine this dolloped over scoops of the finest vanilla ice cream). 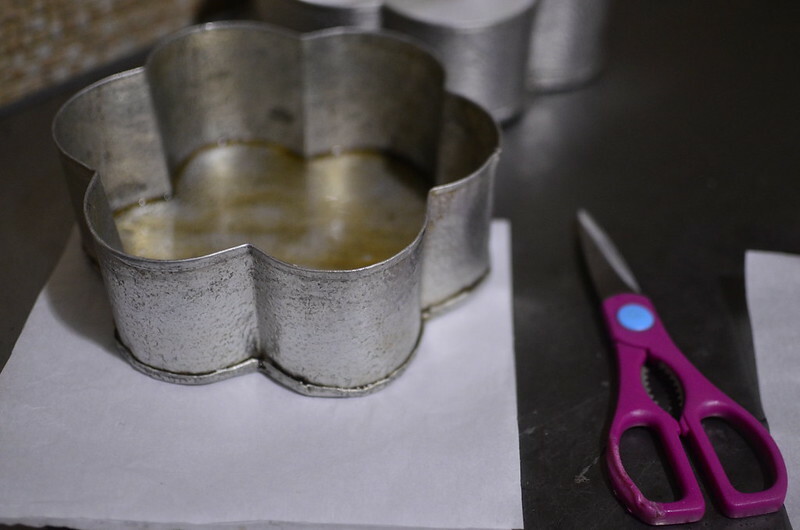 Pre-heat the oven to 150C/Gas 2/Fan 130C and line two 8″ cake tins with greaseproof or parchment paper, greasing before and after laying the paper at the bottom of the tins. When the mixture has cooled down, add the eggs and ground almonds. Mix well with a wooden spoon – a hand mixer will aerate the mixture, and leave it light coloured instead of rich dark colour we seek. Sift the flour and baking powder into the pan. Combine gently until there are no traces of flour left. Finally, spoon the mixture into the prepared tins. Stud with the dried fruit and nuts to make a nice pattern. Place in the centre of the oven and bake for 45 minutes. Then turn the heat down to 140C/Gas 1/Fan 120 deg C and cook for a further 1 hour, or longer till the cake is dark golden in appearance and firm to the touch. Cover the top of the cake with foil if it begins to darken too much. To check if the cake is done, insert a toothpick or a small knife into the centre – if it comes out ‘dry’, without cake batter clinging to it, it is cooked. 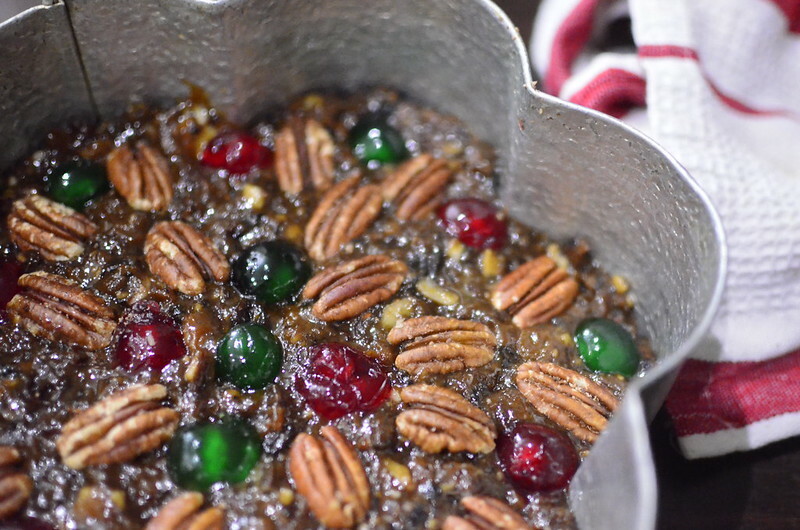 For those using brandy/ other liqueurs, make holes all over the warm cake with a fine skewer and spoon or brush on the extra brandy over the holes until it has all soaked in. Leave the cake to cool in the tin. 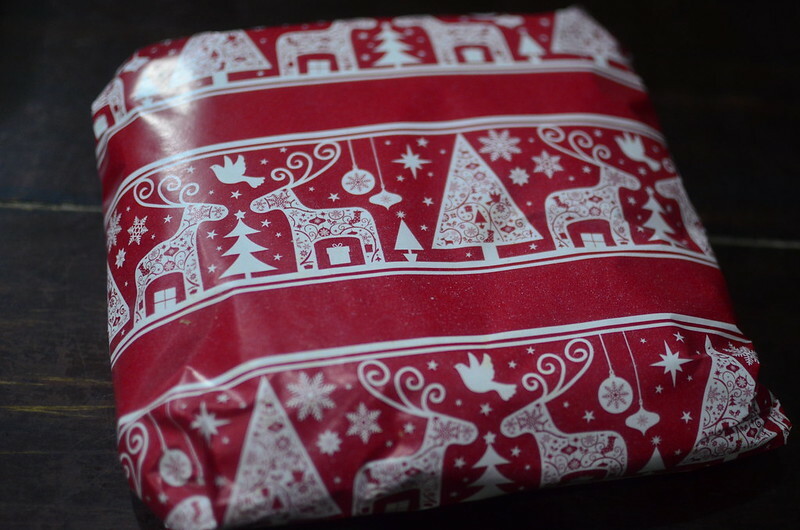 When cold, remove from tin and peel off the lining paper. You can store in an airtight container at room temperature; in the fridge, where it stays dry and crumbly; or in the deep freezer where it takes on moistness and a Christmas pudding texture - the choice, my friend is yours.